In 30+ years of exploring the benefits and challenges for widespread adoption of telemedicine one barrier has been prevalent from the beginning. Reimbursement for telemedicine has been steadily improving by most payers including individual State Medicaid programs and major insurance companies with one significant exception-Medicare remains a major obstacle. This has been particularly inhibiting for long-term care as seniors are almost universally dependent on Medicare for their healthcare coverage and Medicare has regulations in place that prevent access to healthcare services via Telemedicine. 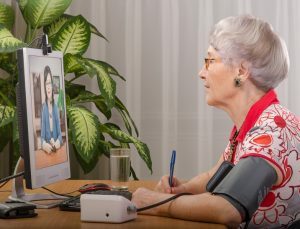 Medicare limits access to healthcare provided through Telemedicine based on a narrow rural designation that in affect prevents access to critically needed healthcare for seniors throughout the country. Most long-term care facilities do not meet the Medicare “rural designation” and therefore these seniors are prevented from accessing physicians and other healthcare providers via Telemedicine whereas a resident with only Medicaid would be allowed such access to care. Public comments on the proposals are due by September 10. The Castleton Group (TCG) is especially encouraged by these developments. TCG has established a Telemedicine demonstration center at Grand Manor Nursing Home in Bronx, New York with plans to replicate components of the program in other nursing homes in New York State and beyond. At Grand Manor, the telemedicine pilot program is being used for resident admissions, pulmonary and cardiac evaluations as well as, access to additional physician specialists. The trial pilot program will soon expand and include St. Barnabas Hospital; Bronx, New York whose, primary goal is to reduce unnecessary post-operative surgical visits to physician offices and clinics, and when a patient is discharged to a skilled nursing facility for the provision of subacute rehabilitation services. TCG has identified several additional program components including remote medication management and access to mental health professionals (telepsychiatry). These benefits can be quantified for individual locations. And now, with the new proposed fee schedule, reimbursement can be calculated on a procedure by procedure basis. According to CMS, “We now realize that advances in communications technology have changed patients’ and practitioners’ expectations regarding the quantity and quality of information that can be conveyed via communications technology.